Marie L. Garrett has taught at Reinhardt University since 2013 as an adjunct professor. She currently teaches courses in public administration and policy, leadership and organizational behavior and administrative ethics. Professionally, Ms. Garrett was appointed in December 2012 to be the first city manager of the City of Brookhaven, Ga. She manages and supervises all city departments, negotiates intergovernmental agreements with DeKalb County, Ga., and oversees the economic development strategy and programs for the city. Furthermore, she serves as the executive director for the Brookhaven Development Authority. Prior to her work at the City of Brookhaven, Ms. Garrett provided administrative consulting assistance to both the public and private sector in areas or planning, development, and grants writing. She has worked with several local governments including the cities of Canton, Milton, Johns Creek and Alpharetta, Ga., assisting and developing economic, transportation, and community outreach strategies. She is a local government administrative and policy expert as it relates to comprehensive planning and zoning, intergovernmental relations and strategic development. Gary D. George has taught at Reinhardt University since 2008 as an adjunct professor. He has taught courses in public safety leadership, criminal justice, ethics, corrections, juvenile justice, criminal law procedures and courts, communications, cultural diversity, statutory and constitutional law and organizational behavior and administration. He also has taught for the University of Phoenix, Park University, Kansis City Metropolitan Community College and Easter Jackson County (MO) Police Academy. In addition, he chairs the Reinhardt University Police Academy Advisory Board, which advises the Georgia Peace Officer Standards and Training Council and Reinhardt University in relation to Academy operations, staffing, growth, and needs. The Board also assists in the development of guidelines and training needs pursuant to the delivery of basic law enforcement training. Professionally, he has served as the director of public safety over fire, police and all emergency services for the City of Alpharetta, Ga., since July 1, 2006. He spent the previous five years as the Chief of Police for the City of Alpharetta. As a recognized innovator, educator and practitioner of policing, George has focused the Alpharetta Police Department on crime fighting and crime prevention through a more accountable organizational structure and an enhanced strategy of community policing. He has improved communications in all areas of the agency and has been instrumental in building a strong command structure within the department. He implemented a strategy within the patrol shifts that provided the City with more officers on patrol, while at the same time, allowing officers more time with their family and friends. As is evidenced by the Alpharetta Department of PUblic Safety having minimum openings, firefighters, police officers and communication's officers from around the nation seek out Alpharetta as a place where they want to work and their careers can be developed. Director George also served the Independence, Missouri Police Department for more than three decades in a variety of assignments. He first became a police officer in March 1970 and was promoted through the ranks, serving as a detective, sergeant, captain and as the assistant chief of police. In 1997, he was named chief of police for the Independence Police Department. He also served on the Board of the Western Missouri Regional Police Academy, which formed a partnership with the Metropolitan Community College in constructing an $11 million police academy in Missouri. Dr. Marcy Hehnly has taught at Reinhardt University since 2013 as an adjunct professor. 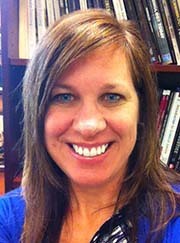 She also currently teaches at Chattahoochee Technical College and Kennesaw State University. She has taught courses in criminal justice, ethics, corrections, principles of law enforcement, police administration, criminal procedure, constitutional law, victimology, criminology, criminal investigations, juvenile justice, contemporary issues in criminal justice and criminal law. In addition, Hehnly is currently the faculty director of service learning and community engagement at Chattahoochee Technical College. In this position, she is responsible for providing leadership in the development, marketing and implementation of service learning across all campuses of the college. She is also responsible for coordinating activities through community partners while building and maintaining partnerships with community non-profit organizations and public agencies across metro Atlanta. Professionally, Dr. Hehnly served in the United States Army as a military police officer for five years and was previously employed by the Cobb County Police Department as an officer for 10 years. She has worked as a patrol officer, a field training officer, a narcotics agent and a recruiter for the police while employed by CCPD. As a scholar-practitioner, her research focuses on law enforcement as well as crimes against children. Her dissertation examines police investigators’ attitudes towards victims of crime, and she plans to continue this research to increase law enforcement data in this area. Additionally, she has been instrumental in the creation of the Child Sexual Abuse and Exploitation Conference, collaborating among two different college/university institutions, multiple programs and across multiple campuses. The conference combines community leaders, students, faculty, staff, law enforcement and various other government agencies in an effort to educate the public throughout various metro-Atlanta counties. 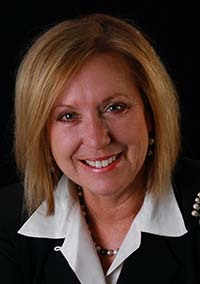 Dr. Hehnly is currently a member for the Criminal Justice Association of Georgia, and she has been nominated for Teacher of the Year for the last four years (2009-2013). As someone who actively engages in community outreach and service in various communities, she has been recognized with several leadership awards, serves on a grant writing team for Voice Today, Inc., has been recognized with the Sam Olen’s Business Community Service Award and was a nominee for the Cobb County Commission & Cobb Community Relations Council Creating Communities Award.